The Google Custom Search is a search platform for Google that allows developers to integrate the Google search engine power to the website particularly to search the content from that website only. There are so many search plugins available to enhance the WordPress search power but they also consume the server resources heavily. Yet, there is an option to improve the WordPress based website search quality using the custom Google search engine platform. The inbuilt WordPress search feature sometimes not able to show the accurate results and if you have the same problem the custom Goole search is the solution. The best part is that Google provided this service free of cost. 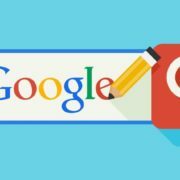 The Custom Google search also enhance the search speed and give Google own branding to your website search that helps to gain the user trust. If you don’t know about coding then you can use the WordPress plugin Wp Google Search to enable the Google custom search. The plugin is free and has more than 10000+ downloads. This Google search plugin for WordPress website will provide you a Google search box widget. You can place that widget in the primary sidebar, secondary sidebar, Header, Footer or anywhere your theme allows to place the widget. Now let’s how to install, activate and set up the WP Google search plugin. Step 1: First of all go to your WordPress Dashboard and from left sidebar select the Plugin->Add new. Step 2: From the search bar search for Wp Google search and as it shows just click on the Install button and Activate the Plugin. Step 3: After installing the plugin go to Settings->WP Google Search. Step 4: Now you need to generate Google Search Engine ID for that just click the link given in the front of the box: https://www.google.com/cse/. Step 5: After clicking the link also given in Step 4, the Google Custom Search Engine website will open. Click on the New Search Engine link from the left side. After that in the Sites to Search, column adds your website and click on create. Step 6: After adding the website in the Google custom search Engine (GCSE), now click on Control Panel button. Step 7: Finally click on the button called Search Engine ID to generate the code for your website. Step 8: Now go back to WP Google search plugin and paste the code there and save it. Step 9: After placing the code go to Appereance-> Widget and select the Widget called WP Google Search (WGS) and place to the Primary sidebar or elsewhere you want it and click on Add Widget. Finally, the Custom Google Search will show on your website. You can also customize the color of Google custom search Engine by visiting their website and click on Look and feel option from the left side. To know how to change the color of border and button of Google Custom Search Engine – Click here.